Say hello! YouTube Collab, Advertise on YouTube or Sponsor A YouTuber! I am always looking for fellow YouTubers and social media minded people to work with and have fun on YouTube collaborations. All I ask is that you are committed to the media you are working on and can provide proof of ideas or media influence. YouTube Collaborations can how you grow your youtube channel, gain your more youtube views, help swap and grow your youtube subscriber base. Maybe you raise awareness of a event or a charity? Or you are looking for a way to swap videos and grow your fan base and think we could work well together. 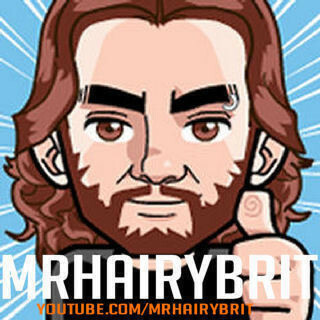 Looking for a friendly, funny and slightly fluffy face to help you advertise on youtube and understand the power of vlogging? Need someone who knows how to balance Web Development, Digital Marketing, Brand Awareness, Search Engine Optimization and YouTube Video SEO across video platforms, Facebook, Twitter and all other prominent social media platforms? Like what you see and want to sponsor a youtuber? Maybe send me something you feel my audience might want to hear about or made into a YouTube product review? I have worked with many brands in the past including KerrangTV, Pot Noodle and online food retailer Muscle Food UK as well as other NSFW adult brands.